Both Worcester natives Nate Rossi and Alexis Kelleher have worked in the food service industry for over 30 years. Nate discovered his love for cooking and creating delicious food very early in his career. Before Nate graduated from the Salter College Culinary program he spent time at local institutions such as Friendly's and Bertucci's. More recently he worked at The Sole Proprietor and then as a sous chef at Armsby Abbey, where he and Alexis met. Alexis grew up working at her family's restaurant, George's Coney Island where she discovered her passion for cooking and sharing her food with others. While attending Wellesley College she worked at her first bakery, Susu, which led to her decision to attend New England Culinary Institute. She worked at bakeries in Virginia and Boston before deciding to move back to Worcester, where she began working as a baker at Crust, which she purchased three years later. When Nate and Alexis found out the space next to Crust was available the concept of a complimentary wine and cheese shop next to the bakery began to unfold. The two were excited to be able to share their passion for delicious food with the growing foodie culture in Worcester. 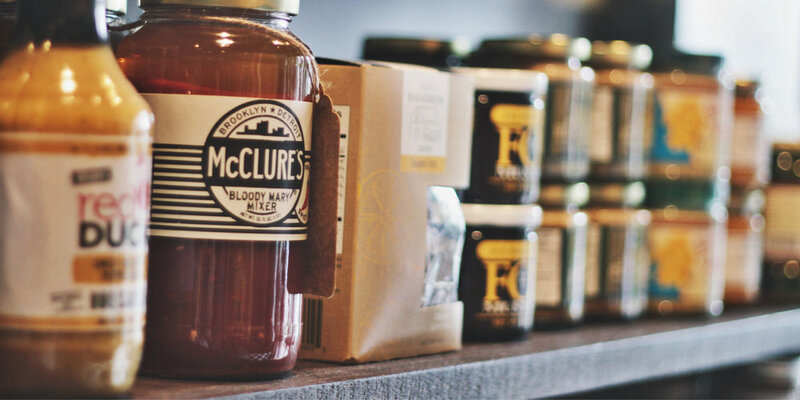 Our mission at North Main Provisions is to share our discoveries of unique and delicious product. We want the items that we thoughtfully curate to make their way to your shelves and ultimately bring a little joy to your table and loved ones! PLEASE INFORM US OF ANY FOOD ALLERGIES YOU OR YOUR GUESTS MAY HAVE SO THAT WE CAN BETTER ASSIST YOU IN YOUR SELECTIONS. DELIVERY AVAILABLE UPON REQUEST WITH A FEE OF $15. ASK ABOUT CORPORATE OR PRIVATE WINE TASTINGS! Due to the nature of our leavening processes, all orders need a minimum (3) day lead time. A credit card is required for confirmation purposes; no card will be charged in advance. Payment is due upon pick-up via Cash or Credit Card only; no checks of any kind. Orders cancelled the day of or not picked up will be charged 100% of its retail value. Our prices are based on seasonally available items and are subject to change upon special requests. 1/2 pound of Cheddar, Smoked Gouda or Blue Cheese, 1 Baguette, 2oz Butter, 2oz of Onion Jam or Whole Grain Mustard, Assorted Pickles. 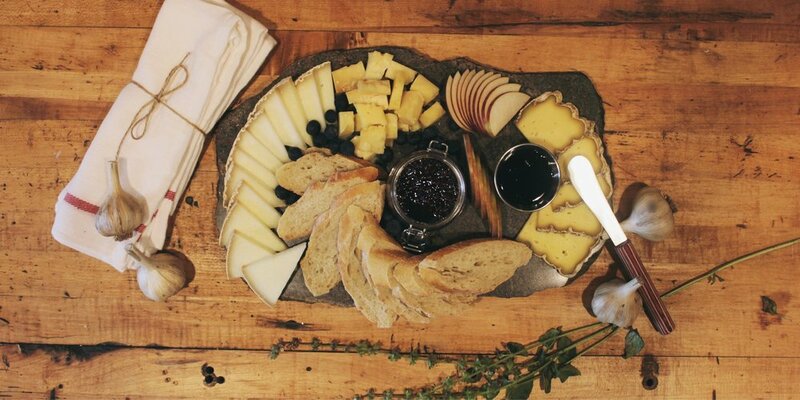 Assortment of 6 Cheeses: 1 Brie or Triple Crème, 1 Gouda, 1 Cheddar, 1 Bleu and 2 others from our Case, Membrillo or Seasonal Fruit, Baguette and Crackers, 1 Jar of Jam and 1 Honey, 30” Cutting Board. Check Out Our Bakeshop Located Right Next Door at 118 Main St.